What was Val Thorens’ most successful Facebook post last winter? The season hasn’t quite finished yet in Val Thorens – the resort remains open until 08 May – but their most successful Facebook post is unlikely to change. There is of course no absolute definition of ‘success’ – what ranks more highly between Clicks, Likes, Comments and Shares? However, in a recent interview with Thibaut Loubere – Community Manager for Val Thorens – he revealed that one of their most successful posts appeared before the ski season had even started. 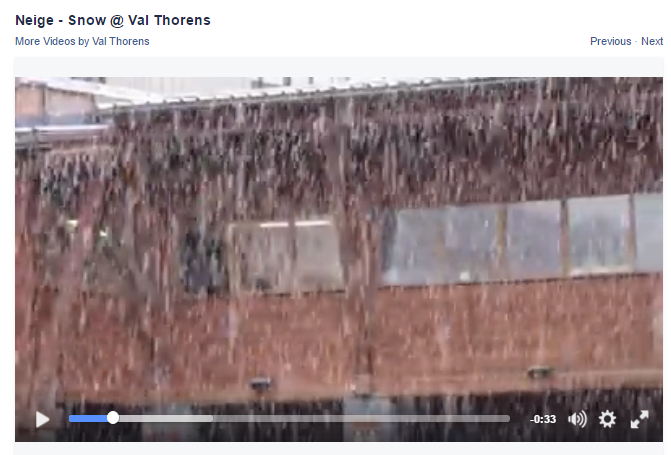 This video of huge snowflakes tumbling down was shared on 12 October 2015 and has racked up almost 1 million views so far. Never underestimate the pent-up demand for snowy content – when it snows in the autumn, get the camera out and get sharing as soon as you can!